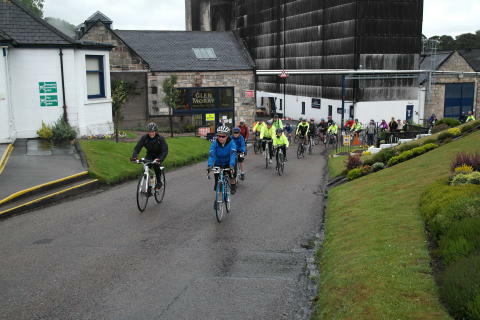 The event – which will take place on Sunday, June 26 - is now in its 16th year and this will be the fourth year that it has been sponsored by Elgin’s Glen Moray Distillery which, once again, will be the starting and finishing point for riders. They will have the choice of three routes of 75 miles, 25 miles and 10 miles and already 35 have signed up to take part, although the organisers are hoping to beat last year’s record entry of 206. Glen Moray has been joined by Moray Council’s sports development section in making the arrangements for the event, the proceeds of which will again go to North-East Sensory Services which last year benefited by more than £7000. Entry for this year’s event is £20 for those tackling the 75-mile route and £5 for the 25-mile route. Entry is also £5 for the 10-mile route although teams of four can take part for just £10. Apart from the entry fees, riders will be expected to raise sponsorship where possible.